€138.70US$151.18£120.67AU$220.53-42% En rupture de stock. Digiprog III Language: Deutsch, English, Espanol,Français,Portuguese,Italiano,Turkey,Nederlands. 2. Avec l'utilisation de la nouvelle DigiProg III, le réglage du compteur kilométrique est une brise. Accessoires intelligents et manuels complets sont enfermés. The Digiprog 3 Tachojustiergerat is the leading system for setting and programming digital speedometer. The Digiprog 3 is the system, with modern hardware and latest software tachometer and speedometer repair adjustment for everyone in the simplest way possible. You can use the Digiprog 3 for all speedometer, and engine control units, operating hours counter, keys, memory error, motorcycles, etc. easily programmed. You get the unit of course with all the necessary cables as well as an image and textual manual. Q: Comment résoudre le problème d'écran bleu? 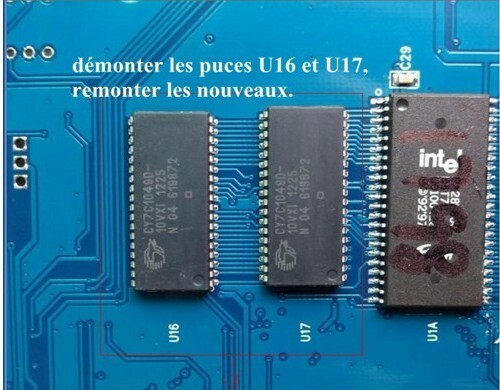 1.Connect the USB to the computer, start your Digiprog 3, run Digiloader1.exe. 2.Choose the right port, select Digi1.bin, and Click the button. If your dp3 doesn't enter blue screen, check your setting and restart from step 1. 3.In upgrading, it should be like this until over. Attention, it will be damaged if you remove it now. 4. Upgrade Over. Your Digiprog 3 should restart automatically.